Vacation search website Edreams asked their users to vote for the best hotel in Europe, and a Portuguese hotel got the second place, hotel Marquês do Pombal in Lisbon. The remaining top 10 best hotels in Europe are hotels in Spain, Czech Republic, Austria, Italy, Germany and the United Kingdom. Looking at each category in separate, Lisbon hotels have another awards, namely best “Design/ Style”, “Cleanliness” and “Room” in which Hotel Sheraton Lisboa & Spa got the first place, among many other European hotels. To read the full Edreams study on the best hotels in Europe, click here. Find out how you can loose excess weight and don’t regain it in a two-week Medical Tourism trip to Lisbon, Portugal. Weight-loss long lasting outcomes can only be achieved with a combination of a body and mind care, and a lifestyle change. Medical Port and Sagres Vacations offer a two-week program where travellers can find the origin of their excess weight and acquire the tools to loose it. “My health is my choice” is the name of this program and is a commitment to a healthy living in 2015. Using medical and behavioral treatment tools customized to each particular case, travellers can learn how to sustain long-term results and enjoy two weeks in beautiful Lisbon. Flights, transfers, hospital concierge, and accommodation. With centuries of History it’s no surprise that there are plenty of places to see and things to do. From visiting magnificent castles to the amazing contemporary art museums, the choice is yours. Portugal is a very safe destination as it’s ranked 18 out of 162 in the Global Peace Index. There’s an average of 3300 hours of sunshine per year, one of the highest in Europe and nearly 30% of the population is fluent in English. To find out more about this partnership read our previous blog post, here. If you want to know more about “My Health is My Choice” contact Medical Port, or Sagres Vacations. Kirill Neiezhmakov just recently visited Lisbon and Sesimbra and published an amazing video using the timelapse and hyperlapse techniques. With the help of Francesco Cerruti, it was shot in May 2014 when he came to the award ceremony of the film festival “Finisterra 2014” and features places like Praça do Comércio, Parque Eduardo VII, Rossio, Praça da figueira and Parque das Nações, as well as some of the best spots in Sesimbra and Arrábida. What a great showcase for Portugal’s capital! Feeling at home in a hostel isn’t part of the backpacker’s lot. You brace for bed bugs, foul roommates and glacial showers. That’s why sitting on a sleek, fire-engine red sofa, flipping through art books and trying not to muddy the shag carpet in the lobby of Lisbon’s Living Lounge hostel feels surreal. Tucked away on the quiet Rua do Crucifixo in Baixa, the lively valley between the hilly Bairro Alto and Alfama neighbourhoods, the lobby of the Living Lounge could easily be mistaken for a high-end apartment, complete with a luggage-only elevator. Each of the hostel’s 23 bedrooms is brightly coloured and feature cool designs like a life-size stencil of The Shining’s Danny on his tricycle. You can even get fresh, delicious crepes for breakfast. This won’t surprise anyone who follows Hostelworld.com’s annual ranking of the world’s best hostels, the Hoscars. The Portuguese capital has been nabbing top spots for years, with the six-year-old Living Lounge occupying fourth place in the 2013 rankings behind three other Lisbon hostels. Valter Pratas is one of four young artists who own and operate the Living Lounge – the same group that founded sister hostel Lisbon Lounge in 2005, effectively kicking off the city’s hostel movement. Before these businesses, Pratas says travellers were hard-pressed to find affordable, comfortable accommodation in the seaside city, which has become a popular tourist destination in recent years. 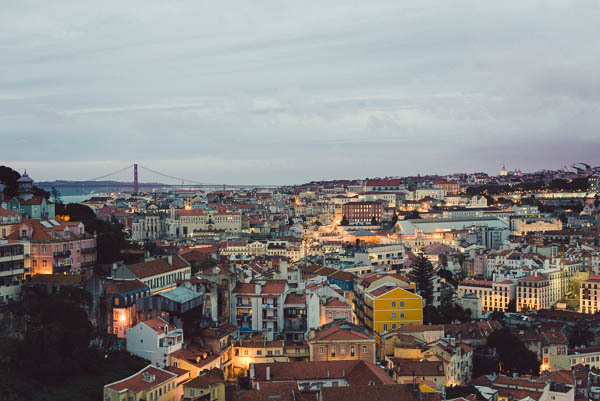 “[Nine] years ago, you couldn’t find any hostels in Lisbon – just the government youth hostels,” said Pratas, leaning against the lobby desk as staff prepared a communal dinner. “They were like hospitals, and they kicked you out of your room because they needed to clean, and they had curfews and things like that,” he said. The group put their backgrounds – visual arts, architecture and marketing – together and designed a hostel that would debunk the stereotypes. Theirs would be a safe, affordable sanctuary for travellers – a place people would look forward to staying in. And they did. So much so that copycat hostels eager to replicate the Lounges’ success began opening throughout Lisbon – each one more fancy and inexpensive than the last – making the city one of Europe’s hottest hostel destinations. Consider that Hostelworld has 60 hostel listings for Lisbon, a city of about 475,000 people, but for Paris, which is 4.5 times its size, there are only 28. And if you’re backpacking in Madrid, a city of 3.2 million, only 27 hostels are listed. It also means that Lisbon hostels must aggressively innovate to set themselves apart. From the Living Lounge, a 20-minute walk uphill along trams rumbling into the heart of the Bairro Alto will bring you to the three-year-old Independente. Once the former residence of a Swiss ambassador, the majestic design hostel will make you feel like a VIP in its spacious, creamy interiors. The hostel offers comfy beds and plenty of activities, but the big draw is its restaurant, the Decadente. 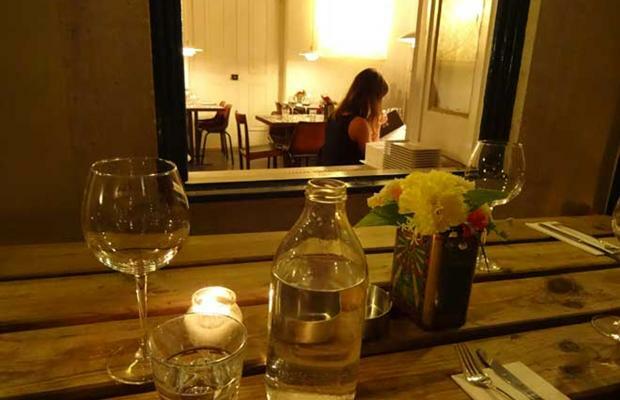 At this laidback spot, you’ll spend half what you’d pay for authentic Portuguese fare at a lesser Bairro Alto restaurant, plus you’ll have the rare opportunity to share a table with a mix of fellow travellers and Lisboetas. “That was the dream, or the ultimate ambition of creating a hub where the melting pot is possible and an exchange between locals and travellers and foreigners can happen,” says Manuel Bastos, guest relations manager for the hostel. The Decadente’s popularity – it was voted one of Time Out Lisbon’s best new restaurants in 2011 – is not a bad problem to have for a young business in a competitive market. Indeed, great expectations are becoming the norm among backpackers growing accustomed to the high hostel life. And, increasingly, they’re bringing company. At the Living Lounge, Pratas was hosting a French father and his young son on a cross-continent motorcycle trip, while Bastos said an 80-year-old had recently insisted on sleeping in the top bunk at the Independente. As hostels evolve into legitimate competitors for hotels, they’re not just the domains of lone twenty-somethings. That’s good news for all globetrotters. Higher hostel standards make backpacking accessible to more people and travellers feel more secure on their journeys. In Lisbon, that’s meant expanding the idea of what a hostel is supposed to look like, and while the threat of an over-saturated market is a pressing reality, right now, it might just be Europe’s best bet for backpackers. (CNN) — What makes a city “cool”? If it means being loaded with atmosphere, charm, great food and nightlife, yet ignored by the bulk of travelers, then Lisbon deserves consideration as Europe’s coolest capital. If you think Madrid stays out late, try a night out in Lisbon. The city is less about heaving clubs and more about a roving nocturnal flow that ends (maybe) when dawn rises over the Tagus River. The main action is in the Bairro Alto, where more than 250 appealing bars line a web of streets between graffiti-plastered walls. Next is the riverfront, in the hip neighborhood around Cais do Sodré railway station. Typical of the offbeat flavor here is the converted brothel Pensão Amor (Rua do Alecrim 19, +351 21 314 3399) where ace cocktails accompany erotica and DJ sets. 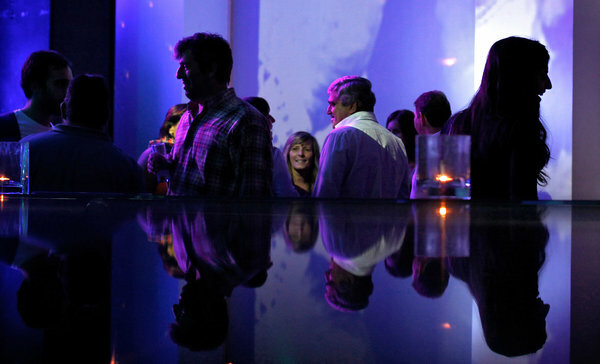 Capping a Lisbon night are pre-dawn traffic jams at Santa Apolonia docks — they’re created by the popularity of Lux, the king of Lisbon superclubs (Cais da Pedra +351 21 882 0890). Once known largely for bacalhau (dried cod), quaint old coffee houses and louche taverns, the Portuguese capital now claims a range of restaurants. Seafood remains a staple, but the trend is for modern, sophisticated and affordable. A high bar is set by wunderkind chef José Avillez at his Michelin-starred Belcanto (Largo de Sao Carlos 10, +351 21 342 0607) or his more casual bistro Cantinho (Rua dos Duques de Bragança 7, +351 211 992369). Avant-garde European and Portuguese cuisine describes Avillez’s menu, which stretches from sea bass with seaweed to lamb with vegetable puree. Further down the scale, Lisbonites love juicy bifanas (pork buns) in backstreet eateries. No traveler to Lisbon should miss the famed egg tarts (pasteis de nata). The little bundles of caramel-y custard in chewy pastry are eaten in style at the original tiled café, Antiga Confeitaria de Belem (Rua Belém 84-92, +351 21 363 7423). You’d think Lisbonites would brag about their achievements — first global empire, world’s best custard tarts, sea bass with seaweed that actually tastes great. On the contrary, along with the rest of the nation, they excel in that ages old literary device/defense mechanism: irony. That old entertaining melancholy has resurfaced with the austerity of recent years, helping Lisbonites remain (almost) content and always witty, even in tough times. Lisbon is a place to inhale salty Atlantic air, sunbathe and hit the waves. Dolphins surf and ferries ply the River Tagus. Half an hour away by train are the beaches and ornate casino of Estoril. A bit further, Cascais is for eaters — lots of grilled fish and seafood stews served in domed cataplana dishes. The other big day trip is to Sintra. Forty minutes from Lisbon’s main station (Rossio), it’s a time-warp town, located in lush, wooded hills peppered with whimsical palaces and mansions that epitomize centuries of aristocratic opulence. Wherever you look in Lisbon, sharp contemporary design is a hallmark. Stylish leather goods, bold wine labels, interiors combining vintage with the latest designer pieces, spectacular buildings — this is a city that loves to look good. Pritzker-prize winning architect Alvaro Siza Vieira set the modernist tone with his gravity-defying pavilion for Expo 98. Lisbonites gather to appreciate good design at MUDE (Rua Augusta 24, +351 21 888 6117), their mutant fashion and design museum, where austere low-tech blends with baroque flounces. Large European capitals such as London, Paris, Berlin and Madrid may have blockbuster art collections, but Lisbon’s half million inhabitants have access to their own rare panoply. The classic is the Gulbenkian Foundation (Av. de Berna 45A, +351 21 782 3000), where superlative Oriental and Western art occupies an airy 1960s building and landscaped gardens. In Belém, the Museu Berardo (Praça do Império, +351 21 361 2878) focuses on big names of 20th- and 21st-century art, from Picasso to Jeff Koons. Museu de Arte Antiga (Portuguese site only; Rua Janelas Verdes, +351 21 391 2800) is a 17th-century mansion packed with 500 years of artwork that reflects Portugal’s globetrotting history. Lisbon’s latest exclusive is the impressive Museu do Oriente (Avenida de Brasília, Doca de Alcântara, +351 21 358 5244), a superbly converted salt cod warehouse full of Asian exhibits where you can book a nighttime visit followed by dinner in the riverfront restaurant. There’s no getting bored wandering in Lisbon, thanks to the intricately patterned cobblestones under your feet — a civic point of pride that blossomed after Lisbon’s 1755 earthquake and continues today. Even Lisbon’s walls demand attention, thanks to an obsession with azulejos (ceramic tiles). 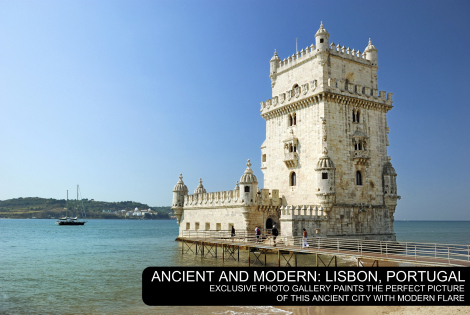 Top examples are found at the Museu Nacional do Azulejo (Rua da Madre de Deus 4, +351 218 100 340), while the peeling façades of the Alfama and Mouraria districts show dozens of variations.